Named after the design of kitchens on a ship, a galley kitchen is designed to be compact and ultra-efficient, making the most of the space available for both food preparation and storage. Interestingly, professional kitchens today still follow the same basic layout with rows of cookers or hobs divided into specific stations for prepping different types of dishes. For maximum efficiency when short on space, this layout excels. Its two parallel counters make all points of the work triangle equally accessible. Important things to keep in mind during your design are: aisle space, light and storage. 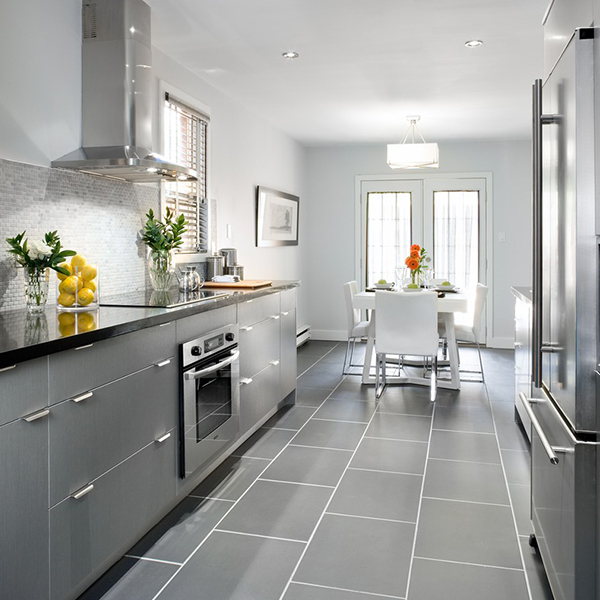 In this kitchen, concealing the fridge and dishwasher behind cabinet panels gives the small space a tidy look. 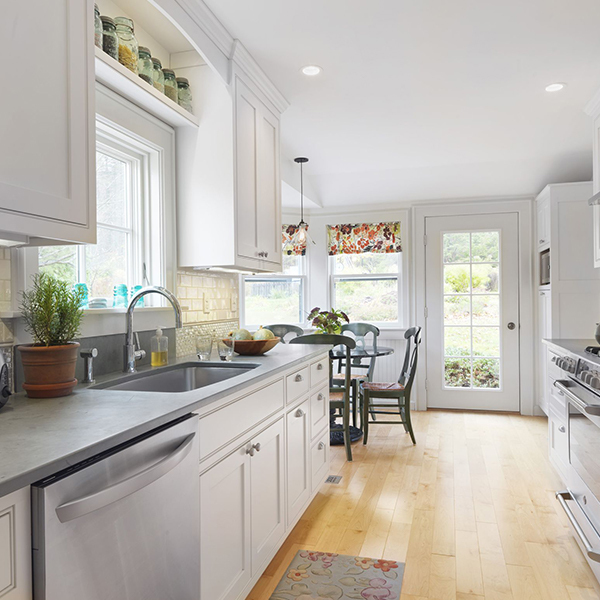 Light-coloured cabinets, open shelving, and a large pass-through window make the galley open and airy. 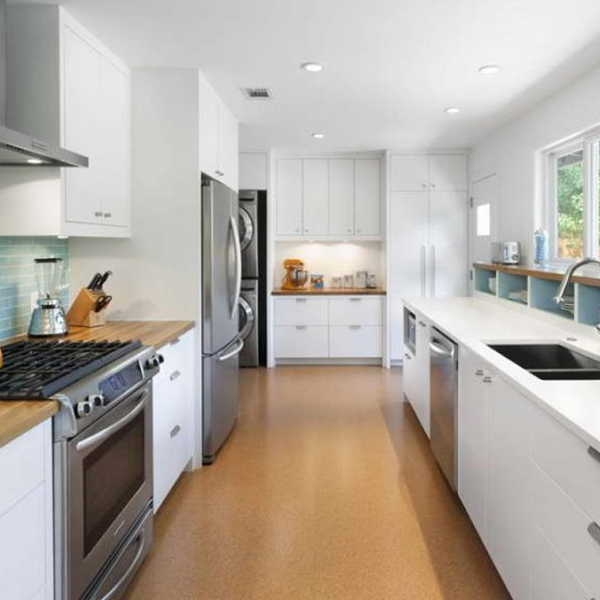 One of the biggest advantages of the galley kitchen is the fact that you are never far from your major appliances and if you like kitchens being sectioned off from the dining area and living room then galleys can be ideal. However, if you want a sociable kind of kitchen then you will have to go to extremes to open up your kitchen.